Spare the Rod or Spoil the Child: Is Spanking a Crime in Texas? Specifically, Section 9.61 provides that a parent’s use of force, but not deadly force, against a child will be justified if the parent “reasonably believes the force is necessary to discipline the child or to safeguard or promote his welfare.” A reasonable belief is what an ordinary and prudent man would believe in the same or similar circumstances as the actor. It is not based on the particular belief of that parent. This is important to understand, because a parent could use force that they feel is the appropriate discipline for their child in that situation, when in fact that force could easily be an act of abuse that results in facing charges of a third degree felony. When Does Spanking and Corporal Punishment Cross the Line and Become a Criminal Offense? When is Spanking Illegal in Texas? 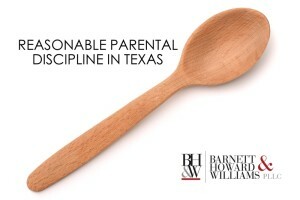 In Texas, it is a known practice for parents to spank their children and it is perfectly legal to do so, but the main question is when does spanking or other corporal punishment cross the line to child abuse. When is spanking illegal in Texas? The Texas Penal Code states that child abuse occurs when the force results in bodily injury. 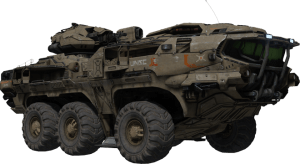 Bodily injury means “physical pain, illness, or any impairment of physical condition.” Tex. Penal Code §1.07(8). 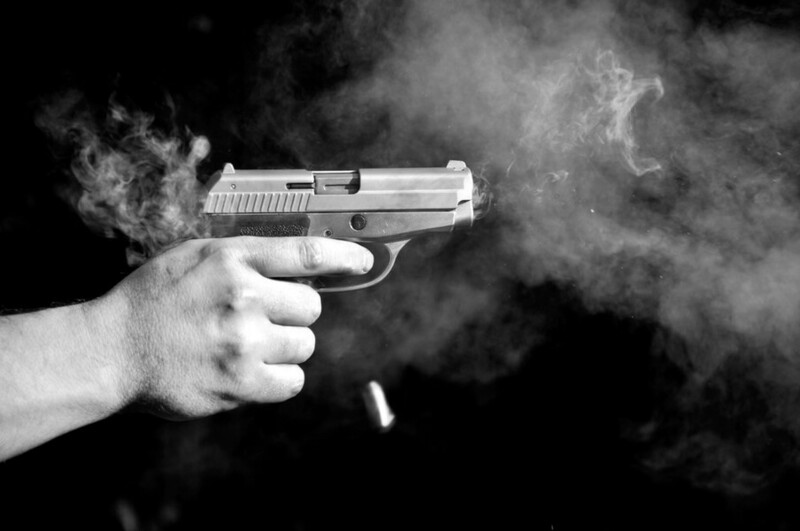 Often, this is when use of force leaves some sort of mark, like a bruise or a cut. However, this determination will be decided on a case-by-case basis. After all, kids bruise easily and often engage in self-destructive behavior while they are being spanked (I know I did when I was a kid). Additionally, the AG describes that the least likely abusive force is spanking with just an open hand (even though most parents that use corporal punishment are taught not to do that as a matter of principle). If You Choose to Use Spanking or Corporal Punishment to Discipline Your Children, Be Careful. 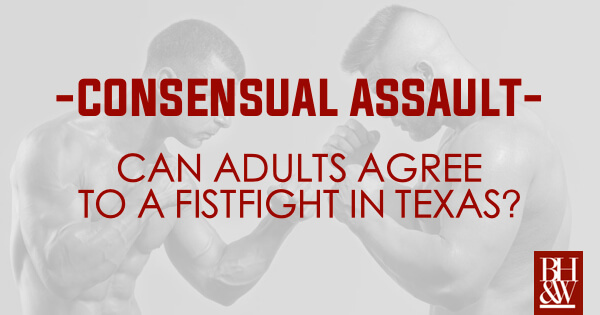 Bottom line: Yes, parents may spank their kids in Texas. 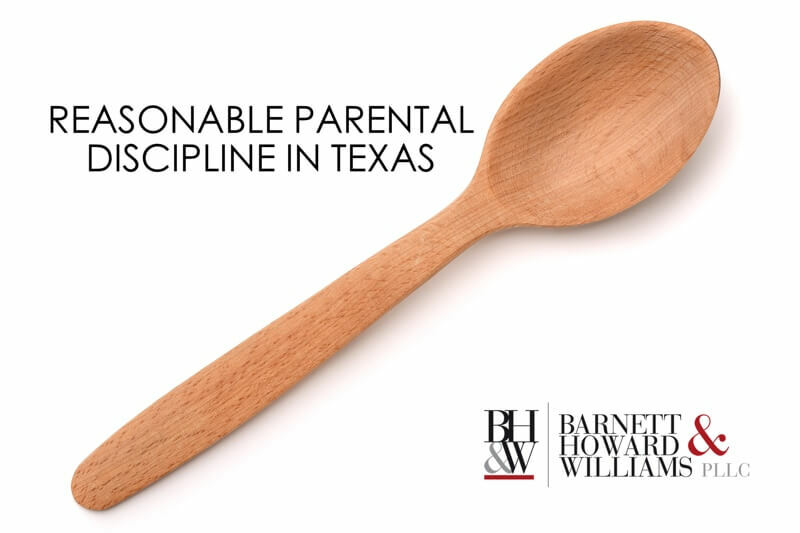 It is legal to use corporal punishment in Texas, but proceed at your own risk of crossing the line to abuse if you leave any type of mark. This rule of thumb will likely allow you to avoid situations like that of Adrian Peterson, a Vikings football player that was indicted in 2014 for injury to a child in Texas for using a branch from a tree to discipline his young son. This is a perfect example to show that while this was a perfectly accepted form of discipline in Texas at one time, it is now unacceptable. As a parent in Texas this gives you a lot to think about and consider when deciding how to practice your right of discipline. This is just a rough overview of the bounds of reasonable discipline and should you have any questions contact our office. Additionally, if you are a parent and happen to find yourself in a situation where you are being investigated or facing charges for injury to a child, contact our criminal defense team to discuss whether the defense of reasonable discipline fits in your case. NOTE: The “reasonable discipline” justification also applies to grandparents, guardians, someone working under the court, and someone whom has consent from the parent. If you are under investigation or have been charged with Injury to a Child for an incident related to the reasonable discipline of your child, contact our attorneys immediately. We will aggressively defend your parental rights in court, in front of a grand jury, or against police investigation. Our firm offers free consultations for all criminal cases. Contact us today at (817) 993-9249. The CCA handed down two opinions today dealing with legal sufficiency of evidence. 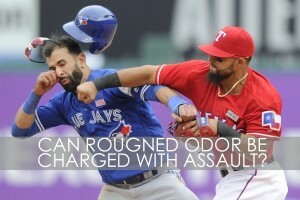 Johnson v. State (Tex. Crim. App. 2012) involved a variance between allegations in the charging instrument and the sufficiency of the proof presented at trial. Wirth v. State (Tex. Crim. App. 2012) involved a general question of legal sufficiency in light of the recent case, Brooks v. State, 922 S.W.2d 126 (Tex. Cr. App. 1996). In Johnson v. State, Appellant was convicted on various counts of aggravated assault. The indictment read that appellant did then and there, “intentionally or knowingly cause serious bodily injury to [the victim] by hitting her with his hand or twisting her arm with his hand.” The complaining witness in the case testified that appellant threw her against the wall and that hitting the wall caused her to fall to the floor and break her arm. Appellant’s criminal defense attorney argued that the variance between pleading and proof rendered the evidence legally insufficient to support the conviction. The CCA held that ultimately, “the act that caused the injury does not define or help define the allowable unit of prosecution for this type of aggravated assault offense, so variance at issue cannot be material.” The CCA also stated that this type of variance involved immaterial non-statutory allegations and when a variance like this presents itself it will not render the evidence legally insufficient. I thought this case was interesting because, as a former criminal prosecutor, I used to try and charge the most accurate manner and means possible. I came across cases like this occasionally where we alleged one way that a defendant had assaulted a victim and then upon further investigation or questioning of the victim, it looked as if there was going to be a variance. In those cases, I would amend the indictment to reflect the more accurate description of the manner and means. Another method that is commonly used by prosecutors is to allege a very broad manner and means. Often, you will see the manner and means in an assault alleged, “by striking with defendant’s hands.” This language covers various types of assaults (slapping, punching, grabbing, squeezing). But, in looking at the Johnson opinion, it looks like the bottom-line is that if the language in the indictment involves immaterial non-statutory allegations, it will likely not render the evidence legally insufficient if different evidence comes up at trial. In Wirth v. State, the Appellant was convicted of the offense of Theft of $20,000 or more but less than $100,000, a third degree felony. The Sixth Court of Appeals (Texarkana) held that the evidence was legally insufficient to support the conviction and rendered a judgment of acquittal. The State filed a petition for discretionary review. The CCA found that the Sixth Court of Appeals had erred and reversed the Court’s decision, reinstating the Appellant’s conviction. 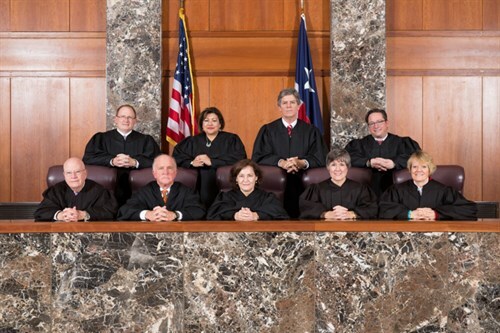 The CCA recognized that the Sixth Court of Appeals had reviewed the Appellant’s case and found that the evidence was factually insufficient to support the verdict based on Clewis v. State, 922 S.W.2d 126 (Tex. Cr. App. 1996). As the Court noted, at the time that the Court of Appeals considered the Appellant’s case, the CCA had not issued its opinion in Brooks v. State, 323 S.W.3d 893 (Tex. Cr. App. 2010) which essentially overruled the factual sufficiency analysis (see our previous post on this issue here). In light of the Brooks decision, the CCA analyzed Appellant’s case based on the legal sufficiency of the evidence and held that there was legally sufficient evidence (even given that the evidence was purely circumstantial and that the defendant was a party to the crime) to support the jury’s prior verdict of guilt. Accordingly, the CCA reversed the judgment of the Sixth Court of Appeals and affirmed the judgment of the trial court.